On today’s second anniversary of Superstorm Sandy’s landfall, New Jersey Gov. 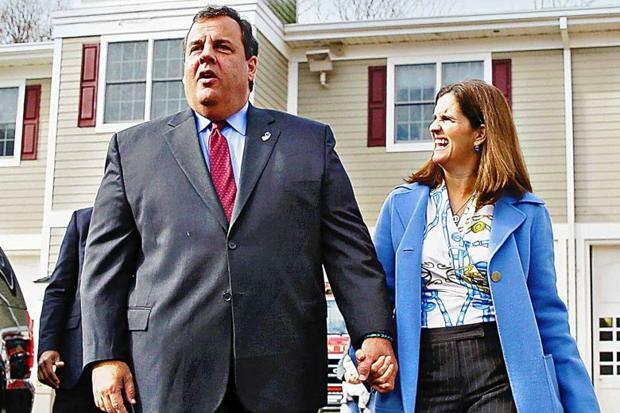 Chris Christie and First Lady Mary Pat Christie are embarking on a tour throughout the hard-hit Monmouth and Ocean counties. 10:30 a.m. Mary Pat Christie makes home renovation visit with A Future With Hope and Ocean County Long-Term Recovery group. Location: Private Residence at 112 Cedar Berry Lane, Toms River. Noon. Mary Pat Christie and members of Christie’s cabinet tour and take part in volunteer activities with the FoodBank of Monmouth and Ocean Counties. Location: 3300 Route 66, Neptune Township. 12:30 p.m. Governor Christie and EDA CEO Michelle Brown tour the East Dover Marina and hold meet and greet with staffers. Location: 605 Fischer Blvd., Toms River. 2:30 p.m. Governor Christie and Mary Pat Christie visit downtown Belmar. Location: 7th and Main Street, Belmar. 3 p.m. Governor Christie, Mary Pat Christie and members of his cabinet attend “Two-Year Sandy Anniversary” community event. 9th and Main Street, Belmar. 4 p.m. Governor Chris Christie and Mary Pat Christie make home renovation visit with Habitat for Humanity Monmouth County and also hold meet and greet with volunteers. Location: 309 Park Ave., Union Beach.